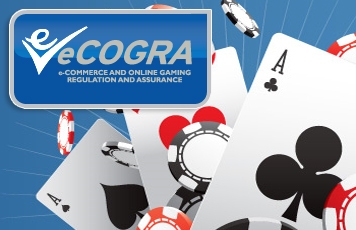 London, 7 July 2010 – Following the approval of PartyPartners.com in January this year, a second affiliate marketing administration program in the PartyGaming group of online gambling companies has successfully passed the on-site inspection and monitoring requirements of player protection and standards body eCOGRA. AffClub (http://www.affclub.com/) handles affiliate marketer relationships and administration for PartyGaming Plc subsidiary iGlobalMedia Entertainment Limited, which operates the websites acquired from IOG Casinos and the Tradal Group in 2007. Nine well-established, tier one internet casino brands and one successful online poker room comprise the AffClub business portfolio. “In keeping with the various other PartyGaming operations that eCOGRA reviews, AffClub operates in a highly professional manner and its focus on meeting the needs of affiliates within given control frameworks provides for a reliable and effective platform for affiliates and regulators alike,” reports eCOGRA Compliance Manager Sean Roberts who conducted an extensive inspection and assessment of AffClub’s operations before the eCOGRA Affiliate Trust Seal was approved by the standards body. Having successfully met the eCOGRA affiliate program standards, AffClub is now entitled to display the eCOGRA Affiliate Trust Seal, which certifies that the company observes best practice operational standards of fairness and efficiency in dealing with affiliate marketers, and is independently reviewed on a regular basis. eCOGRA chief executive Andrew Beveridge said that among the criteria for accreditation, applicant programs for the seal must show that affiliate revenue is calculated fairly and accurately, that payments are prompt, and that there are appropriate controls in place to accurately link players to affiliates. “Achieving accreditation such as AffClub has done requires high levels of commitment and sound administrative and business systems,” he said.